This entry is part of a larger educational blog series that is presented by Carl Fairbank, Founder and CEO of Breakout Capital. Carl founded Breakout Capital on three fundamental pillars: Suitability, Affordability, and Transparency. Breakout Capital introduced a revolutionary suite of straightforward funding solutions that eliminates the hidden costs featured in too many of the other short-term small business financing products available in the market. This series is intended to dispel several of the long-standing myths that, over time, have unfortunately come to be accepted as fact. 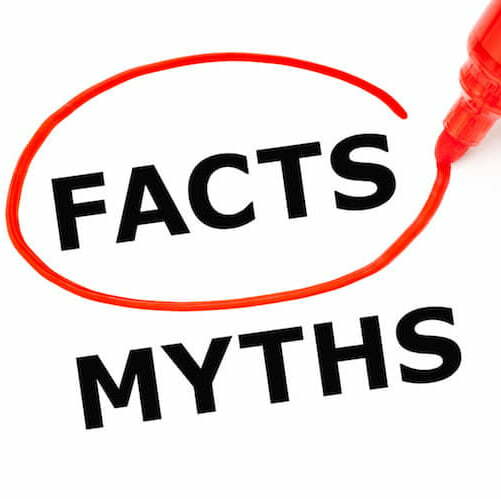 Myth 2: You should be required to pay off the full outstanding balance (including any unearned fees or interest) if you take additional capital from your current lender or cash advance provider. If this is happening to you, stop reading right now and call your funding provider. Reality: Savvy business owners know that paying more than you have to for the same product is bad for business. So why is it that so many small business owners get stuck paying more than they have to for additional capital? Quite simply, they may not know they have a choice. In today’s financing environment, most merchant cash advance providers and short-term lenders require small businesses to pay their current balance in full before the funder will provide the small business with additional capital. To accomplish this, funders encourage business owners to refinance…and force them to use the money from the next advance or loan to pay off the outstanding balance. So what’s the problem with this? This is called “Double Dipping” and causes the business to pay twice for the same money. This is an extremely complex process, so let me illustrate the impact through the following example: Let’s assume that, every fall, you purchase 100 logs of firewood that you expect will last you through the end of winter. During the winter, when you are down to 25 logs, you decide that you need 100 more. You return to the same place you first purchased the firewood to get 100 additional logs. The firewood merchant agrees to sell you 100 additional logs, but this time he takes back the 25 remaining logs and you only receive 75. But upon looking at your receipt, you were charged for 100 logs. You are outraged and demand your money back, but the firewood merchant tells you “tough luck, that’s just how our product works.” In order to acquire the new firewood, the merchant required that you return the logs you previously purchased (for which the merchant will not provide you any compensation or discount) and then pay for the full bundle of 100 logs. Consequently, you signed a contract for 100 logs, received 75 logs, and were charged a second time for the same 25 logs that you already had! Just like what happens with many lenders and cash advance companies, you’ve just been Double Dipped. Double Dipping is a highly unethical but widespread industry practice that significantly increases the cost of capital to small businesses. If you ask, many of our competitors will argue that they don’t have a choice but to Double Dip because that is what the contract states. Or it’s just how the product works. Or they’ll say that it’s too cumbersome to track their cash advances or loans on their books if they don’t have the contract paid in full. Does that sound like a straw man argument? Well, you are right, it is. Double Dipping significantly increases the cost of a funding to a small business (and in turn, significantly enhances revenue to the funder/lender) and frequently there is little to no disclosure about the Double Dip, much less the effective cost of the Double Dip. If you receive funding from a provider that Double Dips at renewal, you will be paying an incremental $2,500 to $10,000+ for each additional renewal or refinancing. Double Dipping can lead to debt traps that many small businesses are never able to escape. Double Dipping is a complex component of small business funding that is critical to understand. At Breakout Capital, we will never Double Dip our merchants in a renewal and our products allow our customers to draw repaid principal at anytime without repaying the outstanding balance (or any unearned interest or fees). We will continue to shed as much light as possible on Double Dipping through future blog posts. But if you have any questions, please don’t hesitate to contact us; we have a customer support team on staff to help small business owners navigate the complex landscape of alternative finance. If you are unsure whether you are being Double Dipped, check your paperwork, ask your funding provider, or contact us. We are invested in promoting transparency throughout the small business finance market and in educating small businesses with the information necessary to make informed decisions. Breakout Capital is committed to responsible funding. We believe it is better for you to keep your business and grow it responsibly than set it up to fail with insurmountable debt. Please contact us today if you’d like to partner with us.